Welcome to the Official Home OF BOB Wills. It’s good to see you! Won’t you take off your coats, throw them in the corner and stay a little longer? We’re here to pay tribute to John and Emma’s eldest child…Bob Wills, the King of Western Swing! 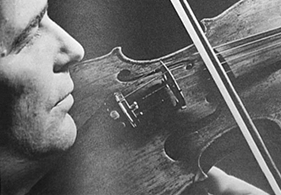 Among those who knew Bob Wills is a passion for telling ‘Bob’ stories. That’s how Bob affected the world. Today’s audiences keep swinging to his music and loving his story. others approach curiously. What makes him an American treasure? His impact is real, his music enduring and his story inspiring. 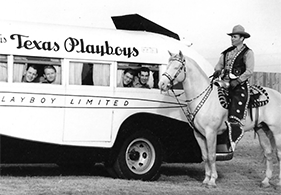 The TEXAS PLAYBOYS are on the air. 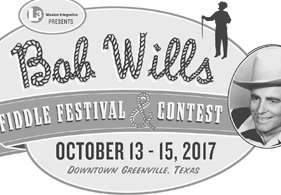 BobWillsRadio.com is a website dedicated to Bob Wills’ music and interviews. Always educational, informative and enjoyable, it is provided by producer/director and lifelong Bob Wills historian and devotee, Dwight Adair. TAKE ME BACK TO TULSA! Bob to be featured at Oklahoma Historical Society’s Project OKPop. 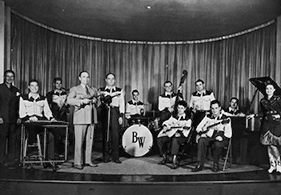 Bob Wills often dressed in double-breasted suits and custom-made boots. 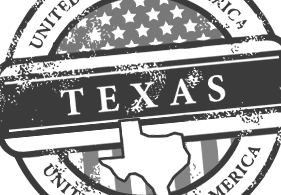 His Texas Playboys wore western suits or trousers, white shirts and neckties. On their way to becoming America’s famous Western Swing band, the image of ‘western chic’ had dawned. 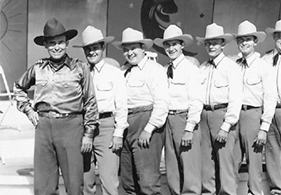 Help keep the Bob Wills legacy alive…donate to the Bob Wills Heritage Foundation today!